The British Society for Antimicrobial Chemotherapy (BSAC) was founded in 1971, and facilitates the acquisition and dissemination of knowledge in the field of antimicrobial chemotherapy. Issues relating to antimicrobial agents. In this booklet, BSAC details the development of a global response to antimicrobial resistance (AMR). AMR is currently responsible for 700,000 deaths per year, a number which could rise to ten million by 2050 if significant efforts are not taken to reverse the trend. While significant efforts have already been made, an estimated $40 billion (~€32bn) in additional funding is needed over the next ten years to facilitate global action. 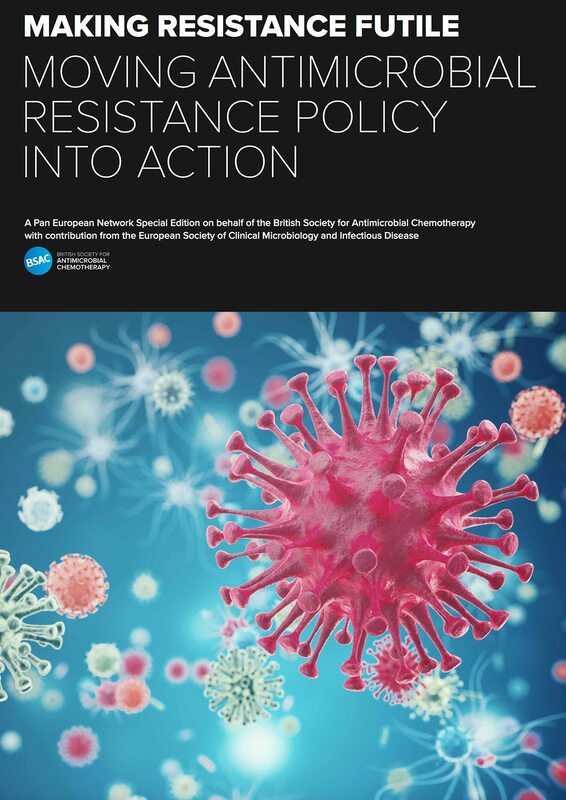 In the booklet, BSAC’s president, Professor Dilip Nathwani highlights two potential enablers which could deliver AMR policy and action: the Conscience of Antimicrobial Resistance Action (CARA) and the World Health Organization’s AMR Community of Practice (AMR CoP). How is BSAC supporting AMR policy? The booklet continues to discuss the UK’s five-year AMR policy strategy, which recognises and promotes the role of individual countries in the fight against stronger microbes, and details the ways in which BSAC works to support this. These efforts include optimising prescribing practice by working with practitioners, aiding in the development of alternative treatments and diagnostics, and facilitating stronger international collaboration by providing a framework for collaborative and multidisciplinary research.